Kleenex Cottonelle 2-Ply Coreless Standard Toilet Paper comes in easy-to-manage rolls that do not contain any paper core inserts. 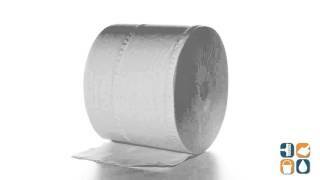 Each carton of Kleenex Cottonelle 36-roll toilet paper comes with 800 sheets of coreless 2-ply toilet paper per roll. Using coreless toilet paper rolls is a great solution to run-outs in the home or office because you will have more sheets per roll, saving time on maintenance. Handing of the toilet paper is much easier as well because there are 6 polywrapped packages per Carton. The Kleenex Cottonelle 2-ply coreless standard toilet paper sheets are 4” by 4” in size and will fit most toilet paper dispensers. Our full selection of Paper Products helps keep your home and office business clean, safe and well stocked. CleanItSupply.com - The wholesale toilet paper supply company buyers trust.